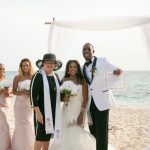 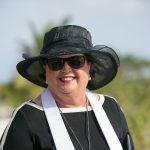 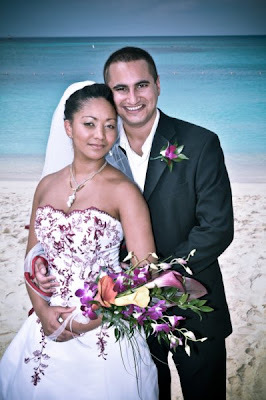 This couple had been to Cayman many times before, in fact they visit every couple of weeks, so we had lots of time to talk with them about exactly what they wanted for their Cayman beach wedding. 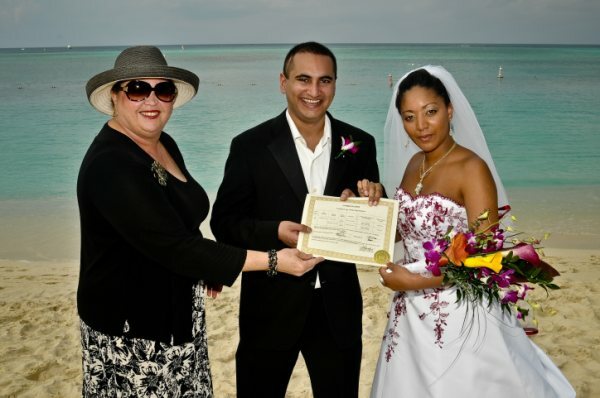 The bride and groom work on one of the cruise ships which visit Cayman every couple of weeks. The groom's parents are from the UK (the groom's aunt was also in attendance) and the bride's parents are from New Zealand, the guests who were mostly their colleagues from the cruise ship are from all over the world, making this a truly international celebration. 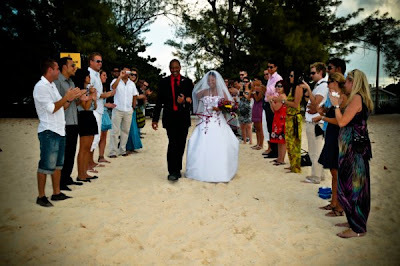 The wedding location was Governor's Beach. 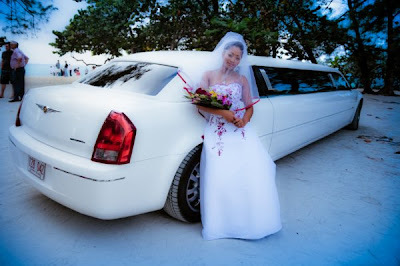 The limo picked up the bride and her parents at the cruise landing. 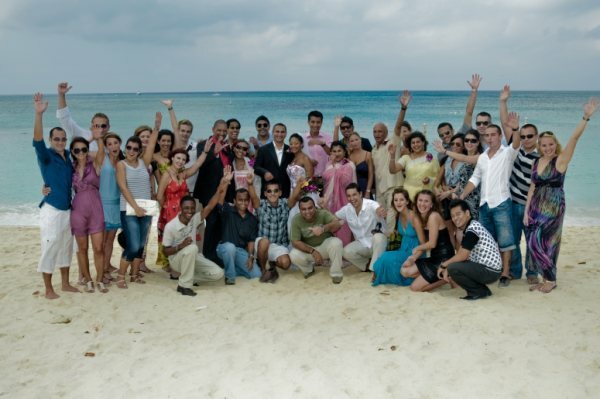 The large grouped clapped for the bride and her father as they walked to where the groom amd his parents waited. The groom's family are Hindu, and the couple chose to use wedding vows based on the Seven Wedding Blessings. 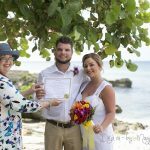 Another option would be to have someone, perhaps a family member read the seven wedding blessings of the Hindu marriage ceremony. 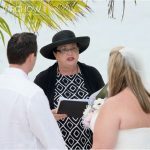 Popping the celebratory champagne. A group this size needed several bottles. 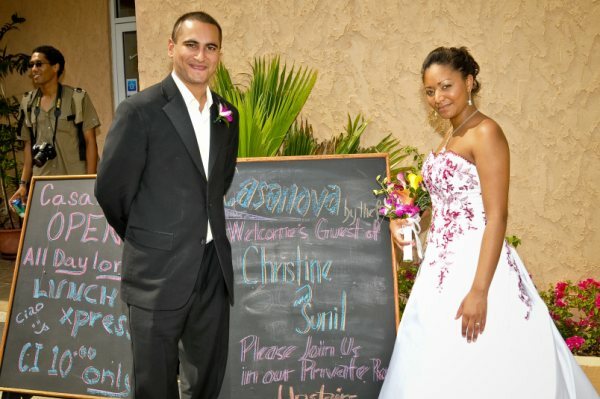 The bride carried a casual arrangement of calla lilies, and dendrobium orchids. 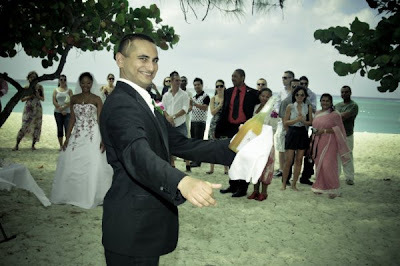 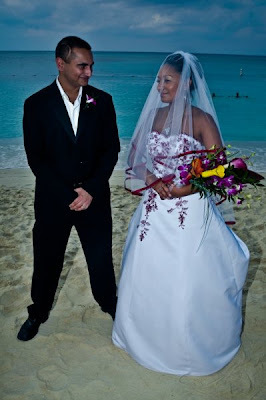 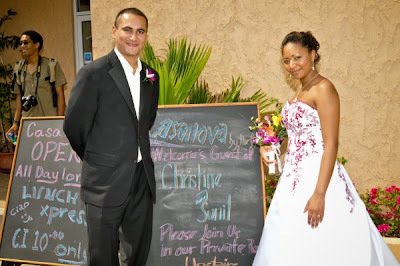 +1 (345) 9499933 to book your Cayman Island wedding today.